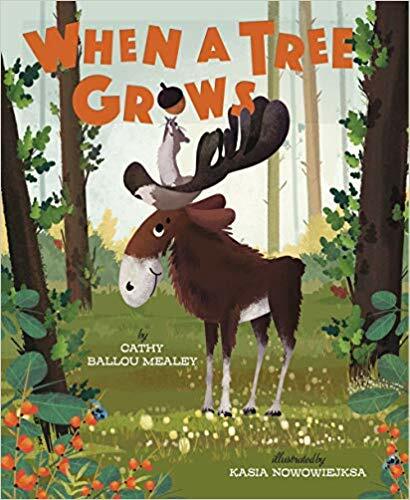 We are excited to feature picture book author Cathy Ballou Mealey and her debut book, WHEN A TREE GROWS, illustrated by Kasia Nowowiejska (Sterling Children's Books, April 2, 2019). Enter to win a copy! I wrote my first picture book in 2010 to enter the Cheerios “Spoonful of Stories” contest. Even though “Ozzie the Oyster” was definitely not ready for publication, my prize was discovering a passion for the craft of picture book writing. After attending conferences, classes and workshops, I joined SCBWI, the 2012 12X12 Challenge and two critique groups. I have been writing, revising and studying ever since! Congrats on your debut PB, WHEN A TREE GROWS. Tell us about it and what inspired you? My inspiration arrived during a woodsy family hike. As we trudged along, enjoying nature, we heard a distant creaky Crash! Was it a tree? An animal? We froze, and after a long silence, hiked on. I continued to wonder: What if that sound had scared a bear or frightened a deer? Building on that “OR” question, I framed a wacky story with two opposite possible outcomes, one rather expected and one funny and unexpected. Readers will find the “OR” spotlighted on the bottom corner of each recto page with a clever curled paper art effect. As a picture book, TREE grew from the seedling of an idea to an actual bound, printed book in three years, four months from the date I accepted the offer from Sterling Children’s Books. I’m so grateful to illustrator Kasia Nowowiejska for her dedicated efforts to make our book the very best it could be. The writer’s road can seem like a long and windy one. Persistence is key! For me new story ideas are always waiting just over the horizon. (channels inner Winter Warlock and hums "Put One Foot in Front of the Other" from Santa Claus is Coming to Town). Cheering for and promoting the amazing books from my fellow debut picture book writers and illustrators in the Notable19’sand Epic18’s groups. Such incredible talent and wonderful stories for young readers are all around us. 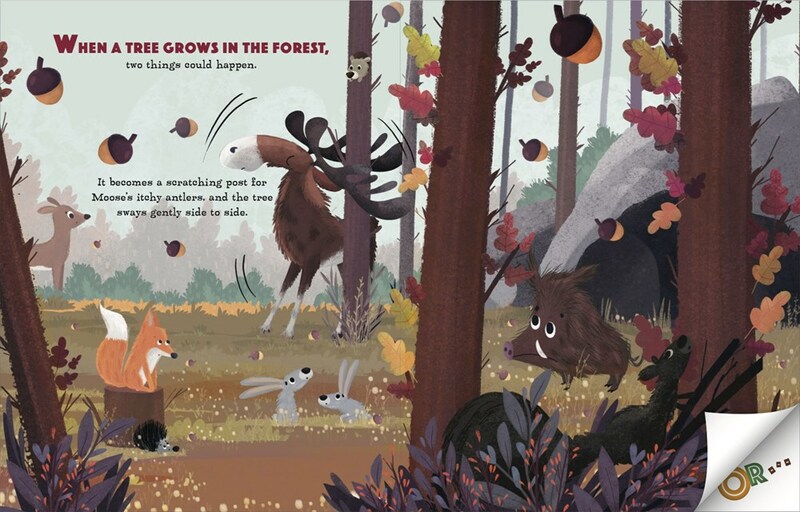 Next up for me is a still-secret picture book with an amazing publisher in Canada. A sloth and a squirrel are involved! Look for an announcement soon, and a book sometime in 2021! Yes! Never leave home without your library card. Just one? I can fold a king-sized fitted sheet to crisp-cornered, shelf-square perfection. Please come connect and say hello! Tell me if you’ve seen a Moose in real life, or if you need a recipe for cardamom crème cupcakes. I can't wait to read this one! Thanks for the interview! Thank you Mona! You live in Moose country, don't you? Have you seen any? I left home without my library card yesterday! My son and I felt bereft! Unmoored! (All ended well when we returned home to find it and made a later Storytime). Whew. Congrats on your book, Cathy! the idea of Or... is awesome. My kids would love this! Thank you Candice! Having library card in hand is the way to go, right? How wonderful Orsi! Thanks for reading the post. I love the "or" concept! Oh, Virginia - My kids love having "options" so I hear "OR" a lot! Cathy, this looks like such a fun book! Congrats. Thank you Kathy-with-a-K! I hope you'll enjoy it! What a wonderful book from another Sterling Author! Can't wait to get my copy! Super Sterling Sibs stick together! Thanks for your cheers Lynne Marie! This book looks adorable - love the story concept and can’t wait to read it. The art looks lovely, too! Congrats! Thanks for reading the post. I hope you enjoy the book too! Anitha - thank you! Moose and Squirrel thank you too! Your book sounds like so much fun, Cathy!!! I can't wait to read it. Congratulations!!! BTW, will you come fold my fitted sheets? Thanks Diana! I was a very *green* rhymer then. I'll bet yours was fabulous! Do you still have it? The sheet-folding and book-writing are both admirable accomplishments! Sheet folding is a skill best learned with a long outdoor laundry line John. And I have zero spatial ability - this is a weird splinter skill!Hope you like the book. What a smart space for your library card Fawn. Have you patented that idea? Thanks for your good wishes! This looks like a fun new #PB that kids will love OR love! Congratulations on your debut! I love the Or...and thanks for talking up libraries! Oh libraries - how I love them, their contents, and the fabulous people who works there! Truly a lifeline to building commuity and connections. Thank you! I love the "or" concept!! Thanks Lydia! My kids love having options so I hear "or" a lot! I love this fun idea! Thanks for sharing with us. I am glad you enjoyed it Danielle! I hope you like the book too! Thank you Aileen! Those are two of my favorite critters for sure. Love this idea and can’t wait to read your debut! I title-dropped it a couple times at Big Sur when the idea of a “Choose Your Own Adventure” picture book came up! Are you offering lessons on fitted sheet folding? Here's my tip for learning fitted sheet folding: start by line-drying your sheets and fold by walking one end to the other. OK - I use a dryer now but the clothesline was one of my chores as a kid! Cute book and nice interview. Such a cute book! Can't wait to read it! Best wishes! Thank you Angie! Moose and Squirrel thank you too! What a fun story and the illustrations are darling! Can't wait to read it! Thank you Tanya. I agree - Kasia created a very cute forest of creatures! What a great post! Happy Book Birthday Eve, Cathy!! Thank you Sheri! Can't wait for your debut to launch on May 7th: COW HIDE AND SEEK! A creative page turning idea. Looks like a fun read. Congrats on this debut and your upcoming books, too. Thank you Marty - and CONGRATULATIONS on winning the signed copy. It is winging its way to you as I type! Great interview Cathy -- I loved the sneak peek about the folded OR on each page! How FUN!!! Looking forward to reading this one! Thank you Kelly! As one of the local '24 carrots' I hope to see you soon at a kidlit event! I am really excited for you Cathy! However, your brag about folding fitted sheets have left me fuming with jealousy! Humble brag, right? And I have zero spatial ability so it is a total splinter skill and useless unless I get a job at Bed, Bath and Beyond! This looks like such a fun book! Can't wait to read it! Thanks Karan! 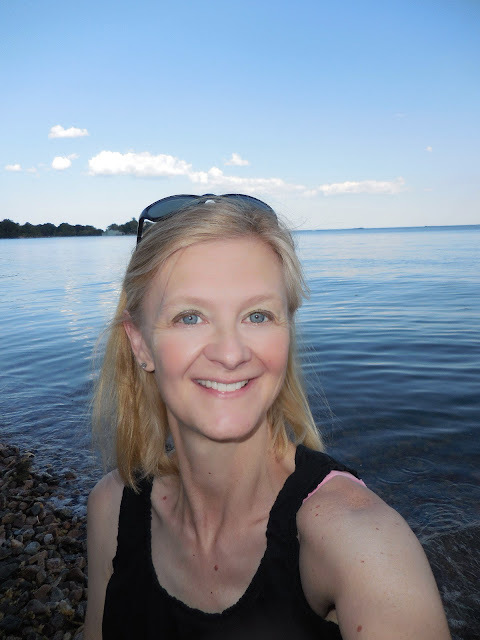 I appreciate you stopping by to read and comment! What a fantastic looking cover. We love books with animals. Thank Linda! I love the cover too - Moose is such a character.